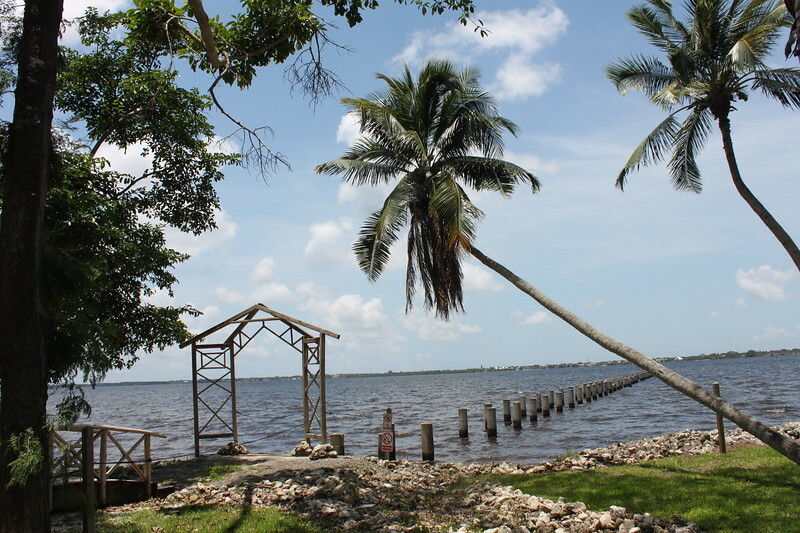 American inventor Thomas Edison bought a plot of land in Fort Myers, Florida in 1885 to build his winter home, a rural area he called Seminole Lodge. It was here that he grew plants that would play a role in future creations and where he had a laboratory. In 1916, Henry Ford purchased the house next door, called The Mangoes, to be close to his friend. They spent winters together with their families until Edison’s death in 1931. The estates’ grounds feature stunning plant life, including banyan trees, bamboo, and palm trees planted by Edison. He grew a number of species that produced rubber in an effort to help America’s reliance on foreign products during the war. His wife was a botanist and created the midnight rose garden, pictured above. 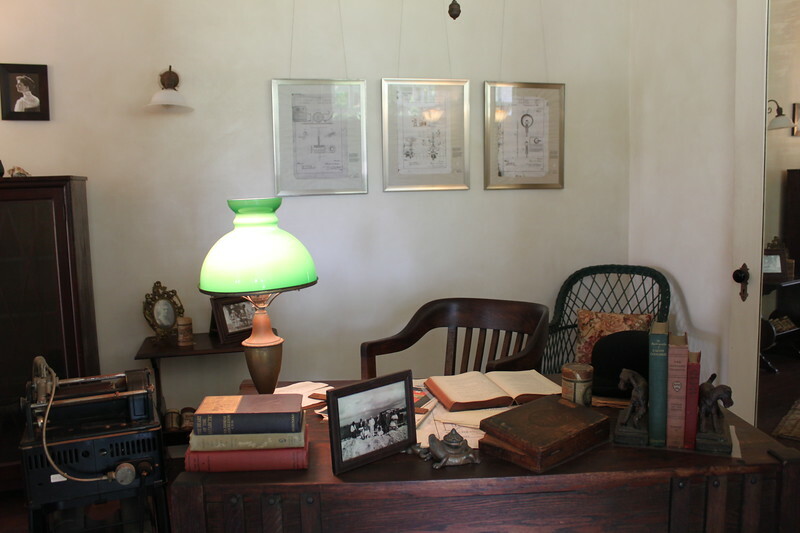 Edison’s estate also had a full swimming pool and a number of outbuildings, including a caretaker’s cottage. All of the equipment used to build Edison’s home were brought in via ship and carried from the long dock next to their property. The home contains much of the original furniture because Edison’s wife deeded the property to the city of Fort Myers in 1947. You can see the rooms from the glass doors off the veranda. Ford’s home, however, was sold to another family that lived there for decades, selling the original furniture, before it was turned over to the city in 1988. The two houses opened together as a museum in 1990. Ford’s side of the property contains a number of his famous cars, including early Model Ts. 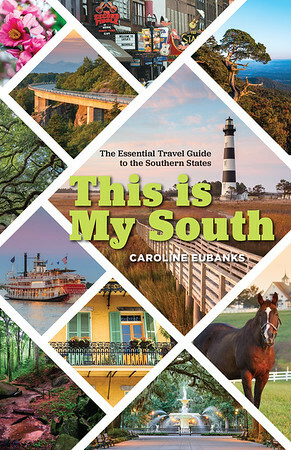 His former caretaker’s cottage is now a gift shop. The estates are accessible by self guided and guided tours in multiple languages. The visitor’s center has a museum with information on both of these men and their careers as well as Edison’s lab. 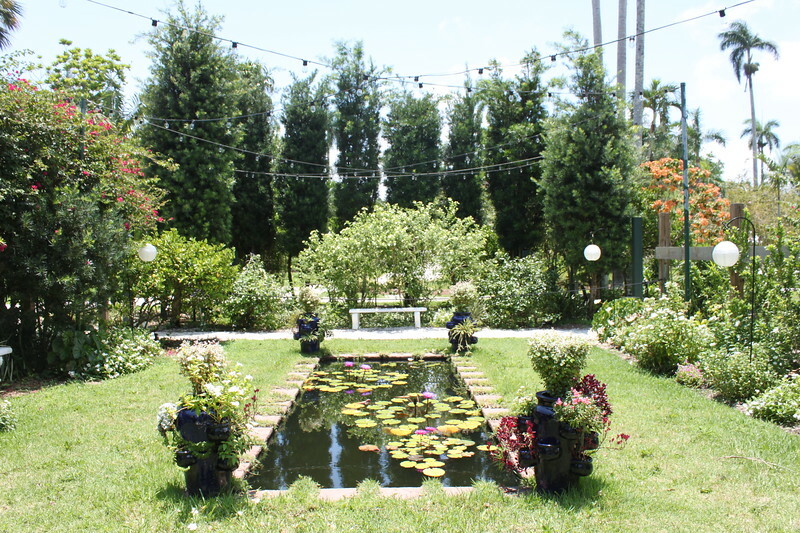 The estates also sell plants like the ones Edison and his wife grew. Give yourself at least two hours to explore. 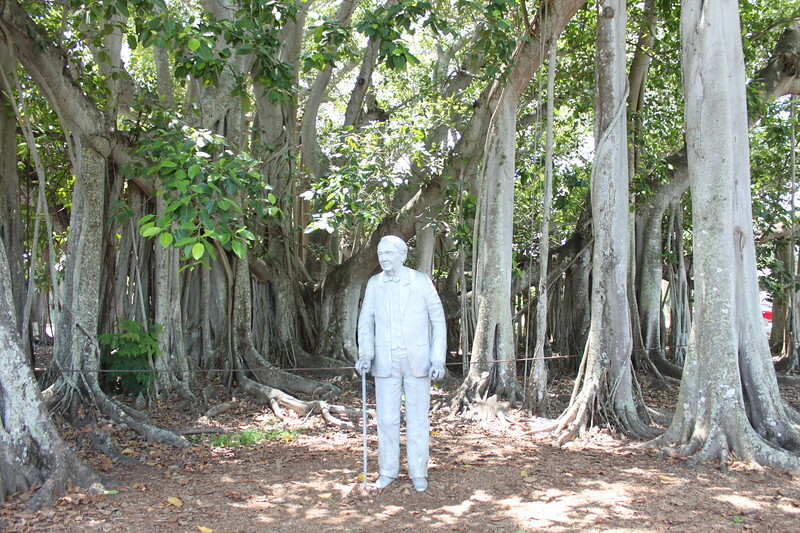 Edison and Ford Winter Estates is located at 2350 McGregor Boulevard, Fort Myers, Florida 33901. Admission is $25-30 for adults. Parking is free. The museum is open daily from 9 am to 5:30 pm. 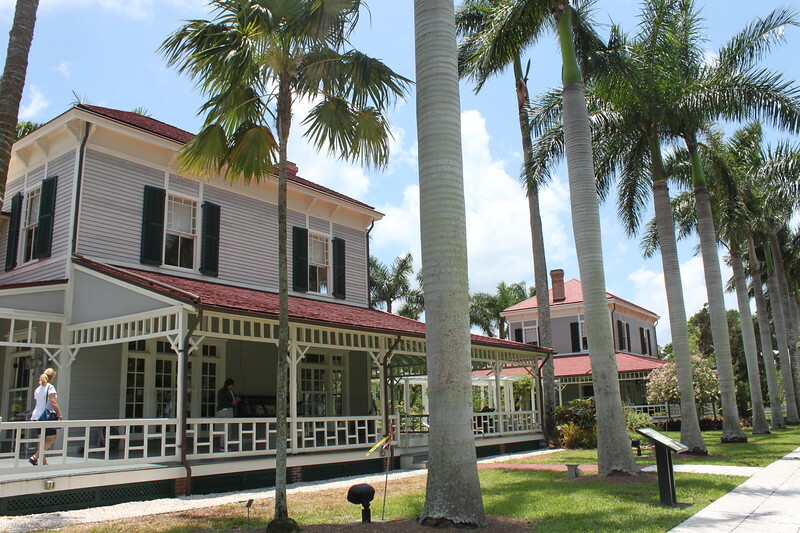 I received complimentary admission to the Edison and Ford Winter Estates.